For a major gas and wind turbine manufacturing company, mobilizing an industrial storage system made the difference in easily accessing legacy parts. 46,000 The number of operating wind turbines in the United States as of May 2014. 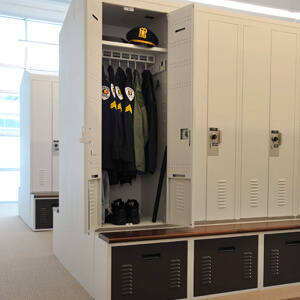 It’s an interesting feeling—the knowledge that even with a recently constructed facility, you’re still facing the issue of needing additional facilities and storage in the near future. That’s how Mark, the Lead Test Specialist for a major gas and wind turbine company, felt when he was in the building of the facility used for engineering and testing components of the turbines. 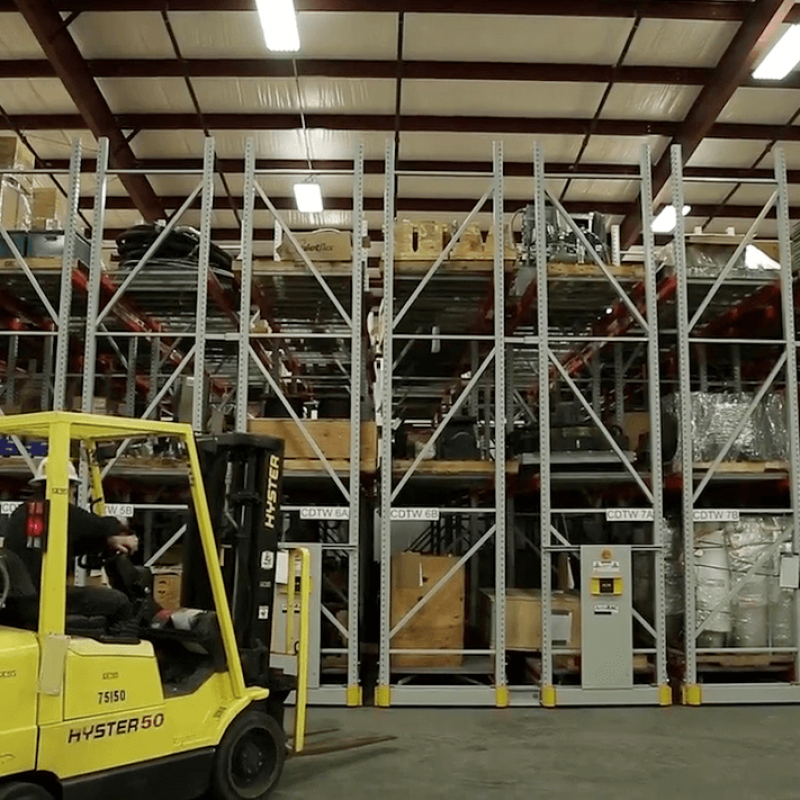 He knew there was very little chance of being able to expand the warehouse—and in order to solve the company’s budding storage challenge, they would need to improvise with the shelving and racking of their current industrial storage system. 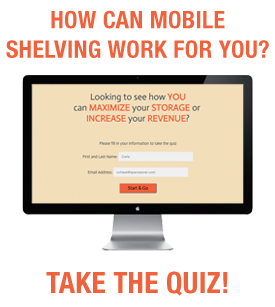 Looking to see how YOU can maximize your storage or increase your revenue? Turbine parts, 6,000 lb. torpedoes, beer kegs—ActivRAC is able to store it all. 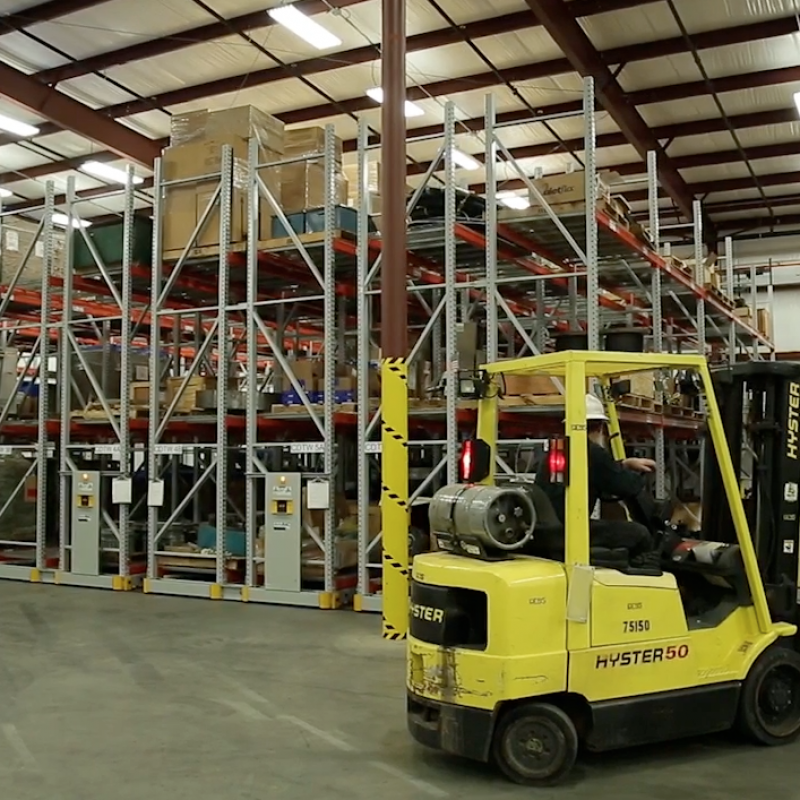 Could mobile shelving work for your warehouse? Take our quiz and find out. 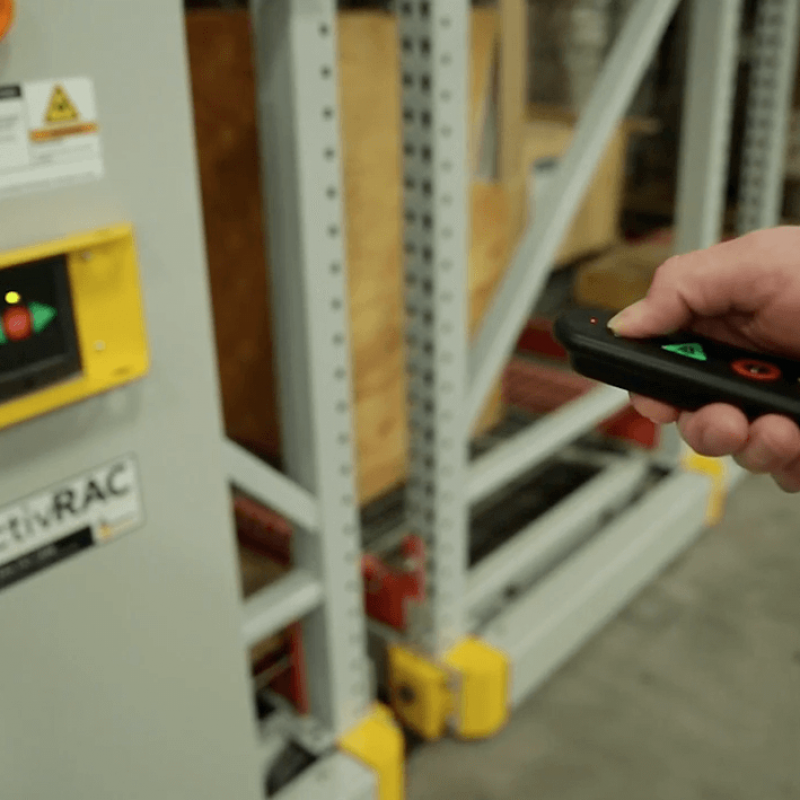 An unexpected email about a heavy-duty mobile storage system peaked Mark’s interest, and immediately, he took it to his managers. 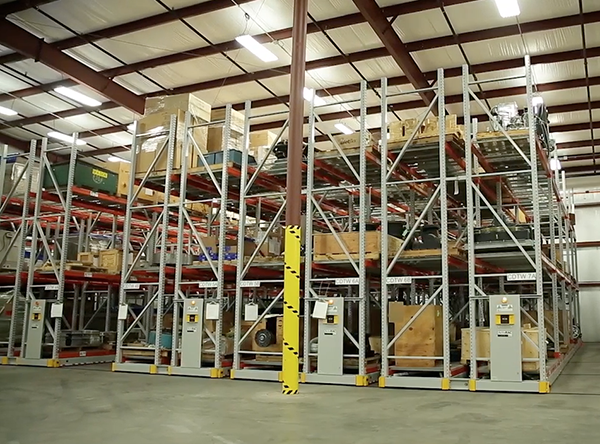 “I knew this was exactly the type of storage we needed to maintain our legacy parts inventory,” he says. The legacy parts were not used on a regular basis—purchased by the company in bulk, the materials and parts are kept on hand in case they are needed to repair turbines in the future. In addition to the legacy materials, old parts that planned to be salvaged at some point where being stored in the same space, as well as a mix of other materials and tools. Mark’s managers were skeptical—but not wanting to pursue a facility expansion so soon after constructing a new space, they took his suggestion. 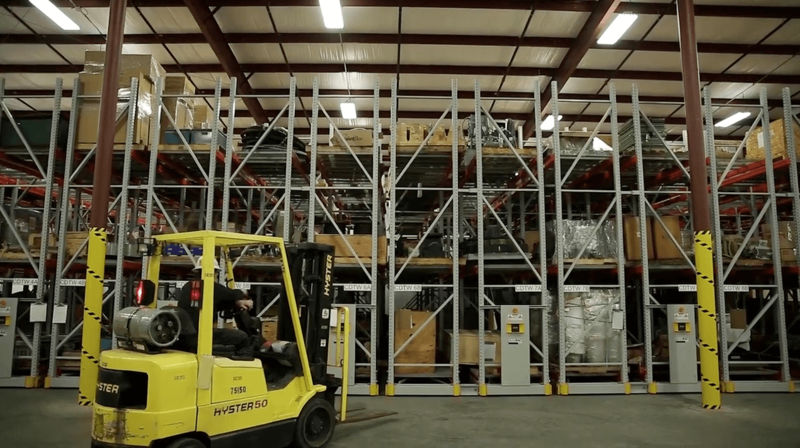 Working with Bart Lassiter from Advanced Equipment Company, a Spacesaver-authorized distributor, a specific industrial storage system for the turbine manufacturer, including an ActivRAC 16P motorized racking solution. 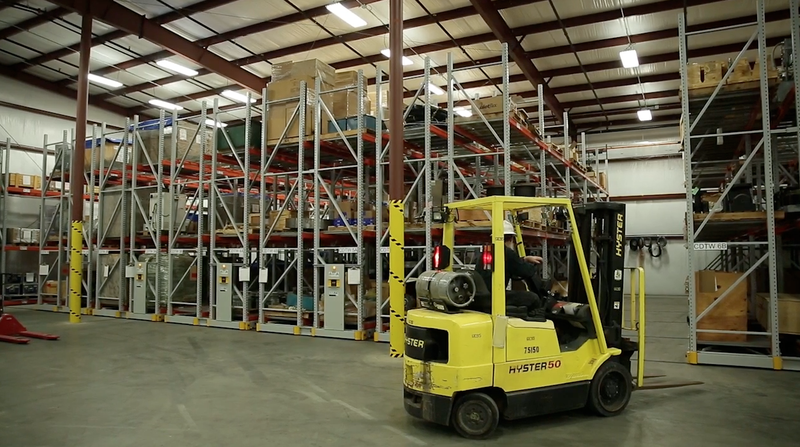 Because of the high weight capacity—the ActivRAC 16P can store up to 16,000 lbs. 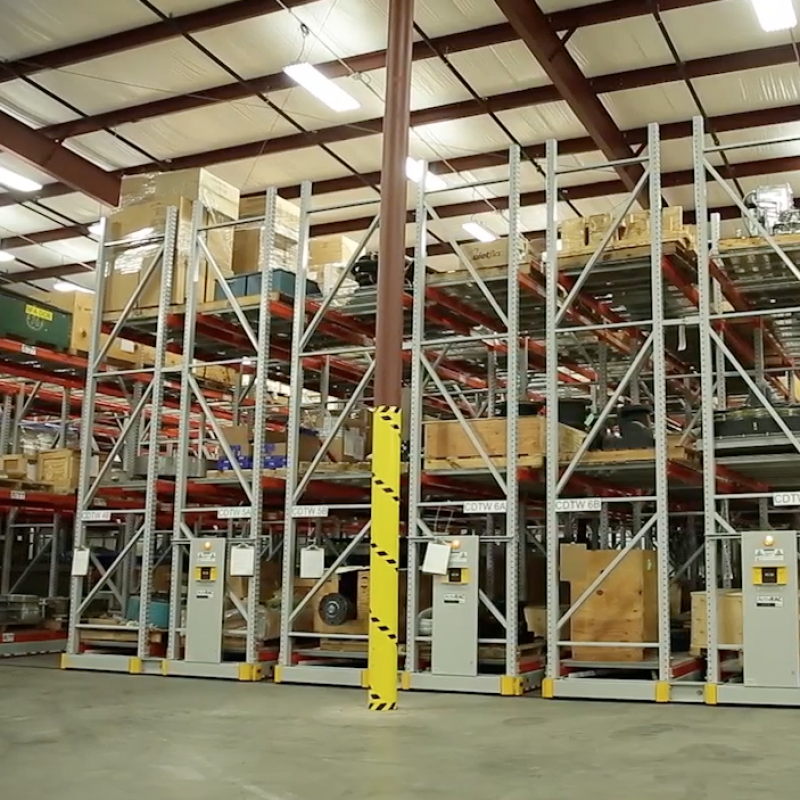 per carriage—the system was idea for storing a large amount of parts and materials and still offer 100% accessibility. 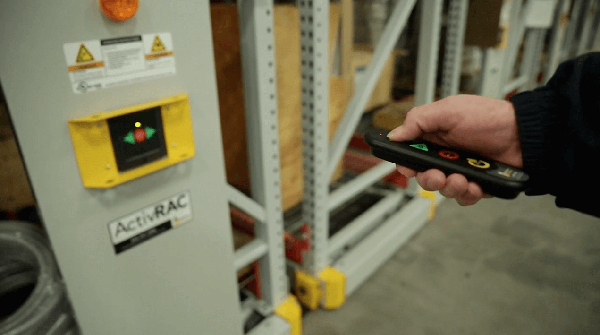 The mobile racking moves from side to side with the push of a button, leaving enough room in the aisles for the facility’s forklifts to navigate in and out. 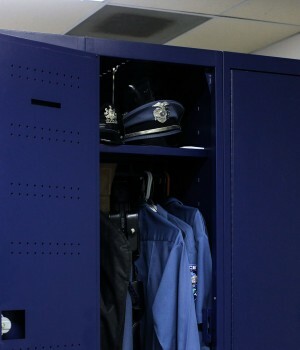 “It was the right tool for the application and exactly what they needed,” says Lassiter. 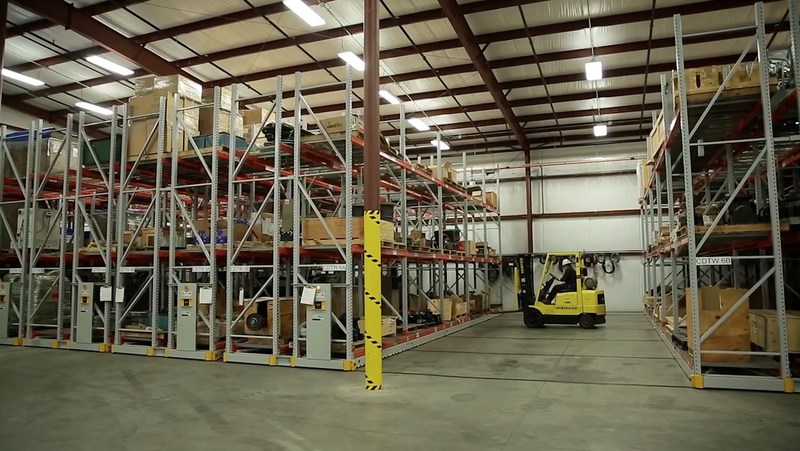 “We essentially helped double their storage capacity within the same footprint they normally would have filled with static pallet racking.” As ActivRAC is designed to work in tandem with existing racking, it was even more of a cost-effective solution for the turbine company, as they didn’t have to invest additional capital in purchasing all new racking for the system. The number of wind-related manufacturing facilities producing a product for the United States wind energy industry, across 44 states. It didn’t take long after the install for Mark’s managers to understand the value of the ActivRAC system. 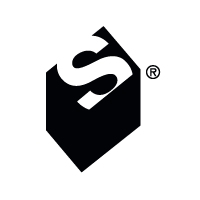 The increased storage capacity was the main priority, but the added value was the durability of the system. “We’ve never had to worry about any instances of damage, maintenance issues, anything,” Mark says. 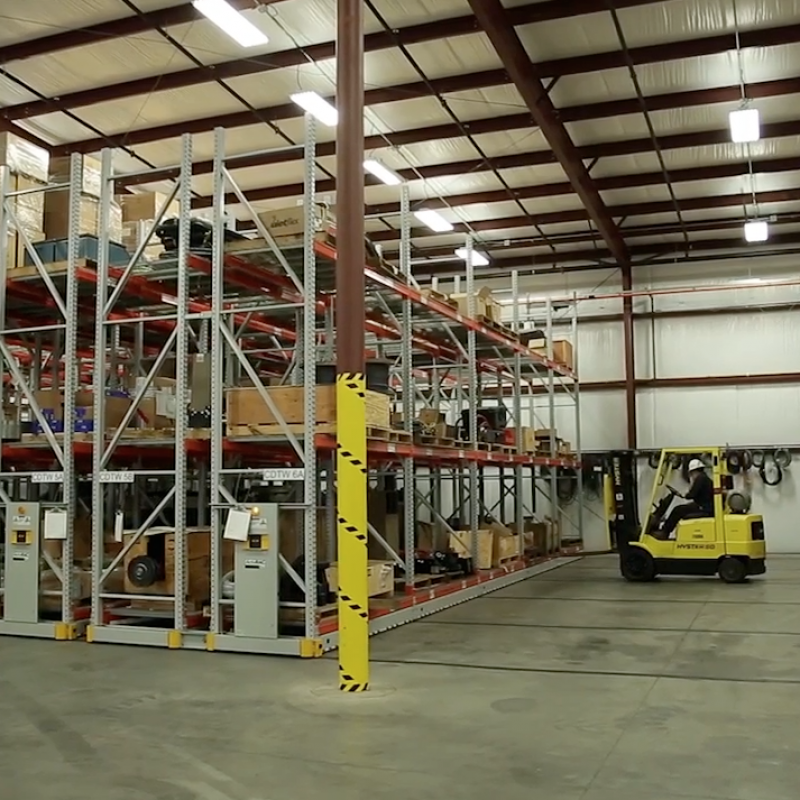 “It just keeps running, which is an important aspect of any warehouse situation—especially this facility.” Additional carriages were added to the system soon after to accommodate even more legacy materials and parts—and when the company decided that they absolutely had to expand, one of the first things to be purchased was an ActivRAC system. Need to expand your space? 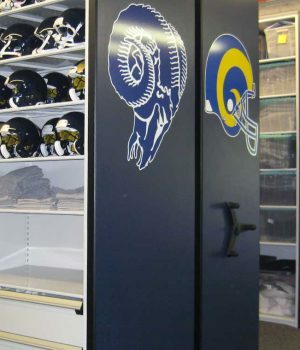 Spacesaver knows that every project is unique, contact us today to find your customized storage solutions.